For this company, the approach worked because the logo’s shape was abstract from the start. What sets apart its branding message from others is the use of brilliant, bold colors and the lettering “Oi.” In Brazil, consumers respond to this color and lettering combination without needing an identifiable shape to complete brand recognition. Recognizing this fact and putting it to work via an interactive display is a genius move. This story got us thinking. Is it possible to transfer some of this understanding to vehicle graphics and wraps? Sure, we cannot install digital LED boards on your vehicle (or can we?) that change the message based on an individual consumer’s input. That said, it is possible to take a multi-demographic approach during the design process of a vehicle graphics package. Home Solution or Construction Idea? The same set of graphics on a van or truck may inspire a mother to see a home solution. Perhaps it is the installation of a faucet that operates just with a motion sensor. A father may see something else altogether. For him, the look of the kitchen featuring the faucet can be a new home construction idea. Of course, you do not have to look at a kitchen scene with a high-tech tap to understand how two people can have completely different takeaways from a graphics package. When the advertiser keeps the wording vague, the company encourages customization of the ad in the consumer’s mind. 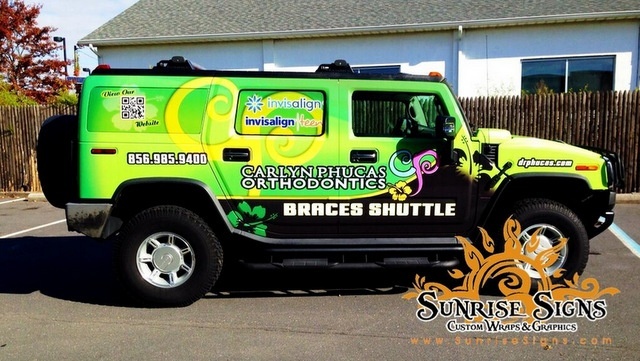 A Shuttle Bus for a Dentist? You see an ad for a dentist on the side of a shuttle bus. This sight might be an unwelcome reminder that it is time to schedule your dental hygiene and exam appointment. A child seeing the same shuttle bus may interpret it to mean that the shuttle takes folks to see the dentist. On the other hand, maybe, the child may believe that this particular shuttle belongs to the dentist. Encouraging a Sale or Creating a Need? 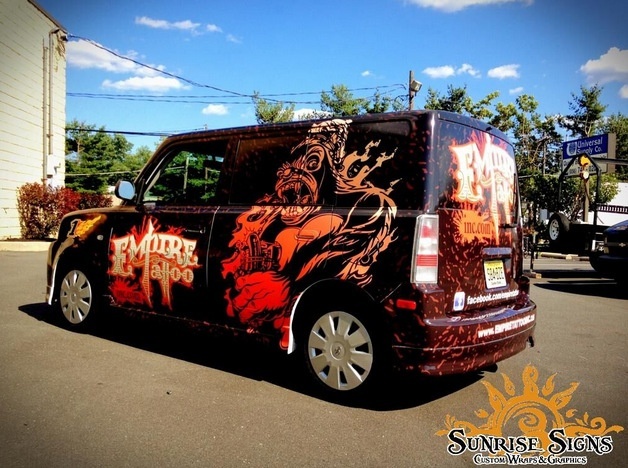 Advertising a tattoo parlor with a vehicle wrap or graphics package is an excellent method for creating name recognition and brand awareness among a broad range of demographics. Since tattoos have entered the mainstream, consumers whom you might not have associated with an interest in body art are now proud wearers. The average pedestrian or motorist who sees the treated vehicle may marvel at the intricacies of the designs or give a fleeting thought about getting a (or another) tattoo. For the teen who sees it, there is a chance that this consumer suddenly develops a longing for the product. Even if this youngster has not previously given much thought to getting a tattoo, the sudden presentation of the product and service has generated a need in the customer’s mind. Scratching that itch is only possible if the teen heads out to the parlor to get the tattoo. While some vehicle graphics designers stumble across displays that speak differently to a host of onlookers, the skilled ones know how to create something like this from scratch. Sit down with our graphic artists to see how we can translate your branding message into something that has a little something for everyone.